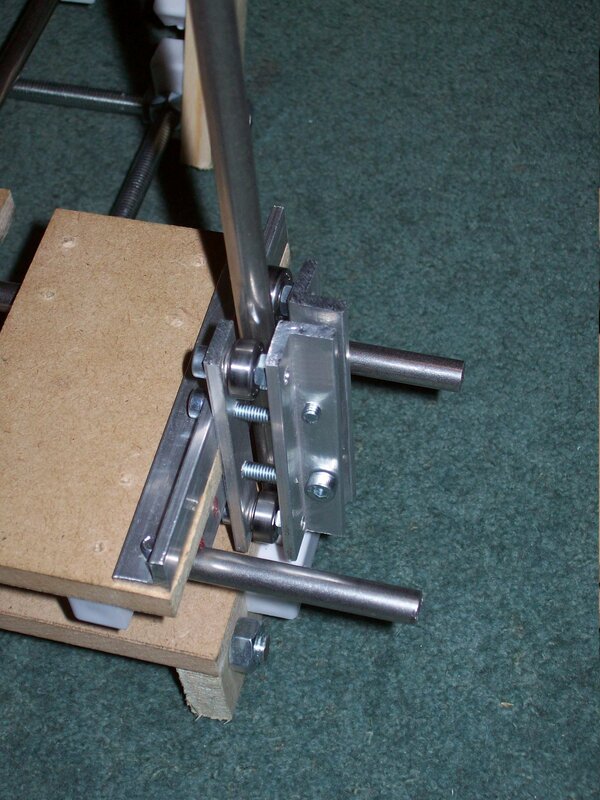 I have finished building the Z axis roller that is mounted on the other Z axis rail. I really liked the axes design that Ed has used for mendel. I can imagine that if the Z Axis rails were not exactly parallel, and I had used two identical skates, then there would be the possibility that the skates would jam either at the top or bottom of the axes. My design includes a 1/2″ x 1/8″ aluminium bar that is made by cutting an edge off a length of aluminium angle that I have used before. So you are using L profiles with a screw instead of a simple plate to be able to tighten the fit? Yes, thats right, I forgot to mention that. 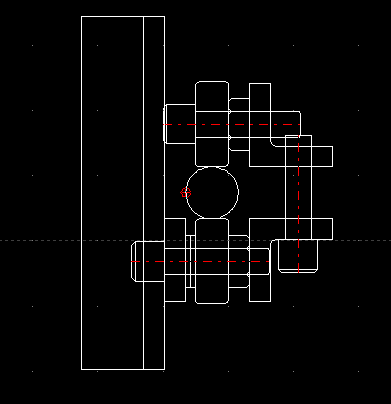 Its not ideal, because as the screws tighten, the L profiles tend to bow in. But it works quite well. Next Next post: Bleeding Edge reprap software.